Remember back when Goldman Sachs announced that it was going to open a cryptocurrency trading desk and the prices of cryptocurrencies immediately soared giving hope to the investors that they would once again see the unbelievable returns of mid-2017? It turns out that the announcement was a double-edged sword. If Goldman had gone through with its plans, the stagnating cryptocurrency prices could have gone up, but turns out we’ll never know as according to the reports, one of the largest investment banks in the world has canceled its plans regarding the virtual currencies. The news sent Bitcoin prices tumbling down, shedding 5.3% of the value right after the reports began to circulate. Ethereum was affected even more, losing 12% in hours. “They were not a part of the ecosystem yet, but to the extent that they represent the institutional herd, this is a negative,” – said Brian Kelly from a crypto hedge fund BKCM, commenting about the effects of the reports on crypto prices. The news might have caused some investors to lose confidence in the digital assets as the imprimatur of Goldman Sachs was giving them more confidence in their decision to hold on to the cryptocurrencies. Alternatively, it could be that some investors were expecting the Bitcoin prices to start increasing again once the bank opened its trading desk and the reports forced them to abandon the hope. In addition, the decision whether to hold or sell such assets usually depends on the investors’ expectations of how the rest of the market will behave and some investors thought, and rightfully so, that the prices would go crumbling down. In the latter case, the effects could be short-lived as even a small sign in the positive direction could lead the prices to recover again. 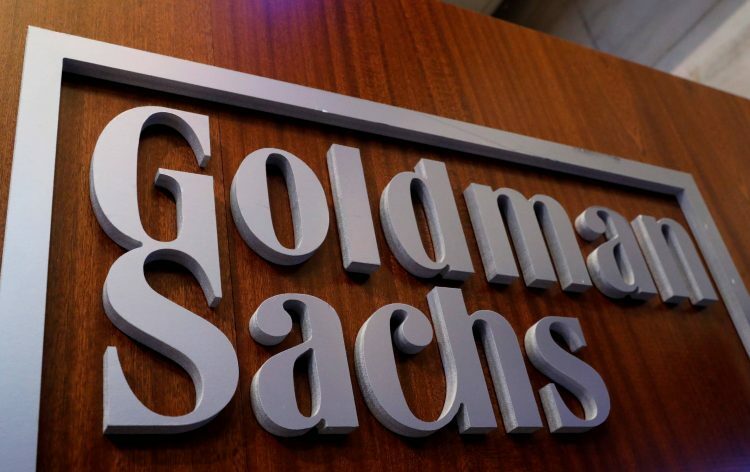 Goldman Sachs hasn’t yet confirmed the reports, but the representatives from the company pointed out that some of the processes are out of their hands and there are outside factors that decide whether Goldman is able to deal with cryptocurrencies or not. These comments refer to the regulations that often disallow financial institutions to handle these highly volatile virtual currencies. Since the Great Recession of 2008, the US government has taken a more strict approach with the systemically important institutions, the failure of which could send the whole economy into a recession once more. Since cryptocurrencies are highly volatile and carry a lot of risk, it shouldn’t come a surprise that large banks, in contrast to cryptocurrency brokers are not allowed to deal with these assets. “In response to client interest in various digital products, we are exploring how best to serve them in the space. At this point, we have not reached a conclusion on the scope of our digital asset offering,” – said the company in response to the reports. “This combination of a new asset, which is not a liability of any individual or institution, and a new record keeping and transfer technology, which is not maintained by any single individual or institution, illustrates the powerful capabilities of today’s technologies, but there are also serious challenges,” – said Lael Brainard, a Fed governor. This seems to be the approach of many regulators. Although they recognize the innovative capabilities of the new technology, they aren’t willing to sign off on the risk that these assets carry. Not only are they volatile and thus risky to the financial sector, but they also facilitate money laundering, which leads many politicians to oppose the widespread adoption of cryptocurrencies. The news is unfortunate for investors who are looking for a certain change that will put the cryptocurrency prices on the path of growth. There are many analysts who have emphasized the importance of institutional investors in this process. According to these theories, the adoption of cryptocurrencies by large Wall Street firms would be just what the stagnating crypto prices need at the moment. Whether that is true or not is unclear, but the fact remains that many investors’ expectations have been attached to this theory. A large part of the cryptocurrency holders believes that they need to hold on to their assets until the big players enter the market. For that reason, it is not surprising that a news of this kind can affect the markets. “The expectation of adoption by Wall Street has been a major theme for the cryptocurrency market for the last year, so any kind of updates on that can certainly move the prices. Even if it’s not true, it should be enough to cause a minor selloff like this in cryptocurrencies,” – said Mati Greenspan, a senior analyst at eToro.